Lyme Disease is the fastest growing vector-borne illness in the United States (surpassing AIDS 6 fold). It is an infectious disease caused by the bacteria 'Borrelia Burgdorferi' which is transmitted by ticks. Annually there are over 300,000 new cases of Lyme Disease, and it is growing every year. The symptoms of Lyme Disease begin in Acute stages where treatment can prevent and stop any major illness. However, if it is not caught then the bacteria is able to spread throughout the body creating lasting damage and it becomes Chronic Lyme Disease. 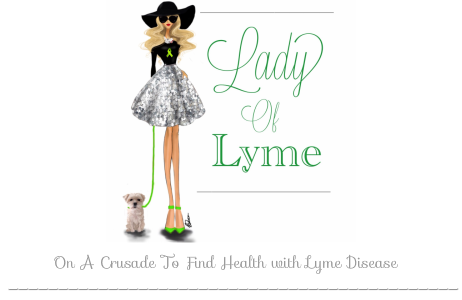 For more info on symptoms and to see a checklist, click here -> "Lyme Disease Symptoms"
Borrelia Burgdorferi - This is the clinical term for Lyme disease bacteria. Borrelia is in the shape of a spirochete. Spirochete - The shape and class that Borrelia Burgorderi is in. Under a microscope this bacteria looks like a corkscrew. Bartonella - A common co-infection that comes with Lyme disease, also carried by ticks. This manifests in many ways, but typically cause more neurological based symptoms. Herx (Herxheimer Reaction) - This is also often referred to as "die-off." When you are killing off pathogens, such as the spirochete bacteria that causes Lyme disease, they release an endotoxin into the blood stream. When the die off of these pathogens happens quickly the body gets overloaded with the toxins and this leads to what is called a herx. The liver and kidneys can not keep up with detoxing quickly enough, leading to this feeling. A herx tends to cause a flare of the current symptoms as well as flu like symptoms such as a fever, exhaustion, nausea, dizziness, etc. Invisible Illness - This term is often used to describe an illness where the patient looks otherwise "healthy" on the outside, but is very symptomatic or in pain on the inside. When there are no outwardly visual cues that a person is ill it can be difficult to get understanding from Doctors and friends alike. Spoonie - This is a term to describe those with a variety of invisible illnesses. The nickname is derived from the "Spoon Theory" and quickly became a loving way to describe warriors from all different chronic illnesses. A 'Spoonie' is another way to say 'chronic illness patient.' For example I might say, "My friend is also a fellow spoonie, just like me!" Detoxing - When a Herx is experienced the best thing to do is detox. This is done in many different ways, often times with the use of Epsom salt, enemas, lemon water, or other herbs which help to purify the body and drain the liver/kidneys/lymphatics to more quickly eliminate the toxins and reduce discomfort. Epsom Salt - This is a form of detox which is very popular and quick for Lyme patients. The use of Epsom Salt in a full bath or foot bath is effective because the Magnesium Sulfate does 2 things: 1. Makes the body alkaline which the Lyme bacteria can not thrive in 2. Stimulates the liver to drain and flush out toxins. This speeds up the length of a herx. Lyme Diet - This diet may vary for individuals but is generally recommended to help treatment. It is free of Gluten, Sugar, Yeast, Soy, Caffeine, Dairy & is sometimes more restrictive. It calls for lots of green leafy vegetables (to help liver function). Burbur - I talk about this a lot. This is my biggest arsenal in the war against a herx. This herb helps to drain the liver and kidneys and quickly gives me relief. I refer to this quite often. Homeopathic Medicine - A lot of people are generally confused as to what Homeopathy is. Founded in the 19th century, a practice that is based on the concept that disease can be treated with minute doses of drugs thought capable of producing in healthy people the same symptoms as those of the disease being treated. This principle is similar to the concept behind exposure therapy for allergies, but the amounts of active medication used in homeopathy are much smaller. Bartonella Series Therapy - My treatment being used to rid my body of Bartonella. It is homeopathic. I take doses of dead Bartonella bacteria in different frequencies that elicit an immune response in my body to make Antibodies to the disease. My body will fight this disease off with my own immune system, antibodies, and peptides. Borrelia Series Therapy - My treatment for Borrelia. Same homepathic concept mentioned above.